How Do Penguins Mate and Reproduce? 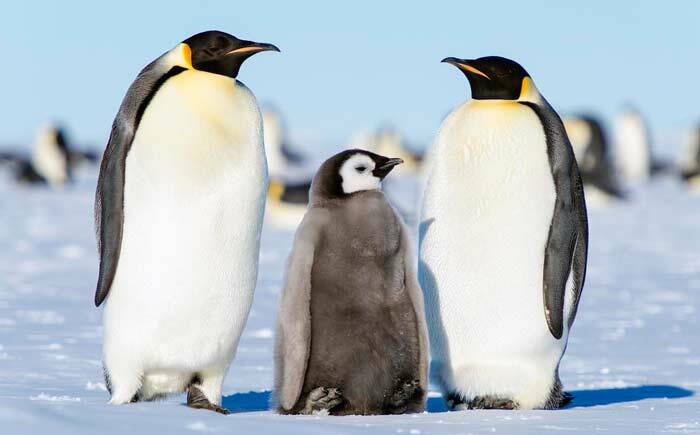 Most penguin species mate from spring through summer, but some species, like emperor penguins, breed through the winter. It is important to note that there are multiple species of penguins who can participate in different mating activities and reproductive habits. Different species also court their potential mates differently, including techniques such as trumpeting and bowing. Most mating rituals involve both auditory and visual behaviors. A male penguin may dip his head and stretch his neck while flapping his wings and braying to attract a female mate. The act of head swinging does not only attract females, but also keeps other opponent males away from the nest. Once a female is attracted, the male and female continue the head movements and flapping display together. Mates are usually confirmed by the female.